UM Students Love the Trail! The best part about fall in Missoula isn’t foliage or football, although those are pretty nice. 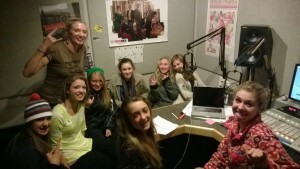 No – it’s the return (and new arrival) of University of Montana students that really lifts our post-summer spirits. Why? Because as much fun as we had floating the rivers, hiking the trails and cooking out the past three or four months, this town just isn’t the same without all the young souls who feed us daily with their musical, literary, intellectual – and sometimes just plain silly – inspiration. So, Griz Nation, welcome back. And while you’re here, let us introduce ourselves. 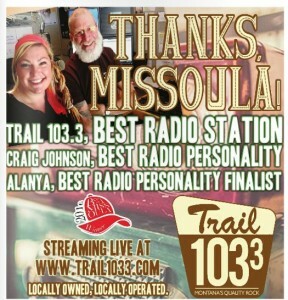 We’re the Trail, Missoula’s #1 Radio Station, and if you haven’t fallen in love with us already we promise you will very soon. We buck industry trends and industry standards and rotate only what works in the moment. Sometimes it’s classic cuts from bygone eras; other times it’s music that’s still on the long ascension up the charts to mainstream awareness. When David Bowie dies, we play entire Bowie records back-to-back for an entire afternoon. When a local artist drops her long-awaited debut, you’ll hear the best cuts on 103.3. When Shakey Graves visits, we’re the ones interviewing him before the show. Every Tuesday we feature a half-dozen different new tracks; every Friday we spin favorites from our deep vinyl collection. It’s rare because it takes work. But we like working to ensure the music stays No. 1. We’re more than just a computer dishing out digital music files 24-7. We believe in connecting with our listeners. We want to know you, and we want you to get to know us. 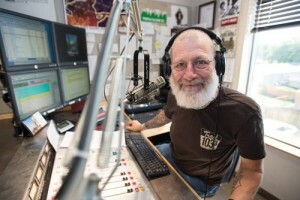 That’s why our morning DJ, Craig, is consistently voted Missoula’s top radio personality. Alanya, Robert and Tommy are always right behind him – each with their personal touch, whether it’s stories about last night’s shows, big hopes for the weekend trip to Sasquatch!, or the funny thing they overheard in the grocery store. We’re neighbors, we might as well get to know one another. Our reputation is founded on the music and personalities, but it’s fine-tuned with the help of all the community businesses and organizations who join us on our daily adventures. We give away a lot of time to support local fundraisers and causes, many of which you’ll see promoted on our website and social media platforms and some of which we invite into the studio to share their story with you in person. We’re especially proud of our relationship with Missoula’s top performance venues. That’s why you’ll hear the big concert announcements here; that’s why you’ll see our banners and flags at your favorite shows. That’s why Ziggy loves us. If there’s a concert coming, more than likely we’re sending our listeners for free. We sent a half-dozen Missoulians to Sasquatch! this summer, not to mention another other half-dozen or more festivals across the Pacific Northwest. Next week we’re giving away tickets to the SOLD OUT Avett Brothers/Head and the Heart show. But again, we’re more than music. At the Trail you’ve got a chance to win tickets to all the other cool events and happenings around town: The Big Sky Documentary Film Festival, movie premieres at the independent theater, gift cards to your favorite retailer, gas cards for your next great weekend adventure. We’re constantly working to develop creative new ways to better the lives of our listeners. We look forward to getting to know you as fall settles in … in the meantime, make sure you sign up for the Trail 103.3 newsletter so you can stay on top of our giveaways and happenings before everyone else!